Do you have a kid who dreams about being an astronaut or loves science fiction? Then you are going to be their hero after you show them these youTube videos. 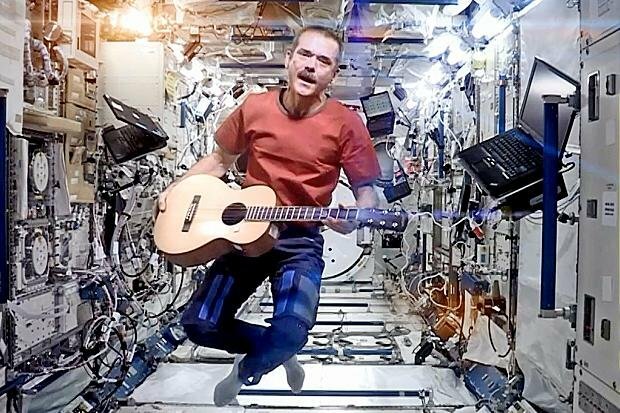 Earlier this year, now-retired Canadian astronaut Colonel Chris Hadfield returned to Earth after a five-month mission that ran dozens of scientific experiments dealing with the impact of low gravity on human biology. During the mission he made nearly 70 videos about day-to-day spaceship living for the Canadian Space Agency, scoring millions of views in the process. We have no idea how we missed them until now. Bonus for grown-ups (though we were pretty jazzed by the other stuff too! ): As a grand finale, Chris filmed David Bowie’s Space Oddity on board the International Space Station. And it&apos;s AWESOME. What&apos;s your favourite science fiction movie?